Personnel on work platforms can reach incredible heights when doing a job. The aerial view of these scenes, as the worker helps to build or move along structures, can capture the attention of even the most discerning observer. Cranes and derricks are crucial devices that help to hang platforms in the air so that workers might get jobs high in the air done. ANSI/ASSP A10.28-2018: Safety Requirements for Work Platforms Suspended from Cranes or Derricks gives guidelines to aid in the safety of the suspension of those work platforms specifically held up by cranes or derricks. What we know as the crane today probably derives from the Ancient Greeks. There is evidence from cuttings on stone blocks at Greek temples that they used lifting tongs and lewis irons as early as 515 BC. ANSI/ASSP A10.28-2018 applies to platforms suspended from the load lines of cranes and derricks in order to do one of two major things. The first is to execute work that cannot be reached in a safe manner by other types of scaffolds or aerial work platforms. The other is to transport workers where other means of access are unsafe or impractical because of design or worksite conditions. Use of cranes and derricks for these platforms can only be considered satisfactory if a qualified person has finished a JSA or job safety analysis. This analysis should include consideration of other, more common ways of access. These other tactics could include ladder, stairway, aerial lift, elevating work platform, or scaffold. ANSI/ASSP A10.28-2018 recommends a critical lift plan that is prepared in advance and signed by a qualified person. ANSI/ASSP A10.28-2018 details cranes and derricks criteria in section three. 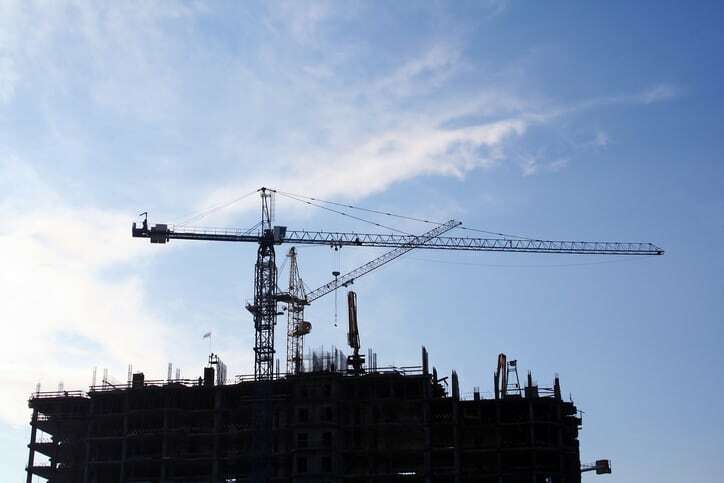 In section four of the standard, it goes into the inspection of the cranes and derricks. It also gives guidelines on suspended work platform design, suspended work platform construction, suspended work platform testing and inspection, rigging, and suspended work platform loading, as well as many other helpful safety measures one can take when using work platforms suspended in the air by cranes or derricks. Therefore, while an outside observer might miss all the thought that goes into suspending a work platform from cranes or derricks, it is important that the people putting it together do not. At the great heights that work platforms suspended by cranes and derricks are normally used, safety is crucial. ANSI/ASSP A10.28-2018 establishes guidelines to help with this important part of the job. Please note that ANSI/ASSP A10.28-2018 updates ANSI/ASSE A10.28-2011. The American Society of Safety Engineers (ASSE) updated its name to the American Society of Safety Professionals (ASSP) in June 2018. ASSP standard releases do not use the ASSE designation anymore. ANSI/ASSP A10.28-2018: Safety Requirements for Work Platforms Suspended from Cranes or Derricks is available on the ANSI Webstore.